The action in essence allows Illinois—as well as more than two dozen other states adopting the maneuver—to sidestep Trump's recent moves to undo major portions of his predecessor's signature health insurance law. Trump on Oct. 12 ordered the federal government to stop paying the cost-sharing subsidies provided to insurers to defray the cost of covering low-income people. But the Rauner administration has found a way to make the federal government pick up the tab anyway. Consumers who qualify for cost-sharing subsidies under the Affordable Care Act are only allowed to use the aid to buy so-called silver plans—mid-level policies that cover certain basics such as maternity care and emergency room services. Anticipating that Trump would eventually do away with the subsidies to insurers, Team Rauner directed carriers that aim to sell Obamacare insurance to Illinoisans in 2018 to attach a surcharge—on average 15%—to silver plan premiums. That's because as premiums rise, so do federal tax credits that reduce monthly premium costs for qualified consumers. Therefore, the federal government will absorb the cost of the increasingly expensive silver plans sold to subsidized buyers on the exchange, HealthCare.gov. "Illinois deserves a great deal of credit to try to find a way to minimize the risk for both the consumers and their carriers," said Sabrina Corlette, an Obamacare expert at the Center on Health Insurance Reforms at Georgetown University. Gov. Bruce Rauner and his team"took a proactive approach in order to keep the playing field level for all insurers so that the market was competitive," said Insurance Department Director Jennifer Hammer. There's a potential downside to the silver plan maneuver, however. Consumers who don't qualify for assistance and still buy silver plans will be hit with the surcharge. When open enrollment on the Obamacare exchange begins Nov. 1, the Department of Insurance will aim to steer those consumers toward a plan that fits their budget—whether it's the more benefits-rich gold plans or bronze plans, which may be less pricey upfront but can entail more out-of-pocket costs in the form of deductibles and co-pays. "We have a monumental task ahead of us in educating consumers, to get the subsidy-ineligible consumers either off the exchange or in a less or more rich plan so that they are not paying for the silver (surcharge)," Hammer said. She'll be doing so with a $1 million state appropriation, much less than the state had in previous years to promote Obamacare. Blue Cross & Blue Shield of Illinois, the dominant insurer on the exchange, plans to do its share of coaching as well. "We will be reaching out directly to our members who currently have silver plans as well as encouraging and educating all those buying on the individual marketplace to look at all their options to see what plan best fits their needs and budget," spokeswoman Colleen Miller said in a statement. About 356,000 people in Illinois bought an exchange plan in 2017. Nearly two-thirds of purchasers bought a silver plan. Of those, 32,000, or 14%, did so without aid, a group that now will pay a surcharge. In 2016, insurers here received about $163 million in cost-sharing subsidies, according to an Associated Press analysis. Meanwhile, Hammer is waiting to learn what the new rules will be for the expansion of bare-bones, short-term health plans that Trump created via executive order last week. Insurers in Illinois already sell these types of plans, but their duration is limited to three months. These plans do not have to provide benefits required under the Affordable Care Act, such as hospitalization, emergency care and prescription drug coverage. It's not clear if the Rauner administration will even allow bare-bones plans to be sold in Illinois for longer than three months. "We have not made a decision on that yet," Hammer said. 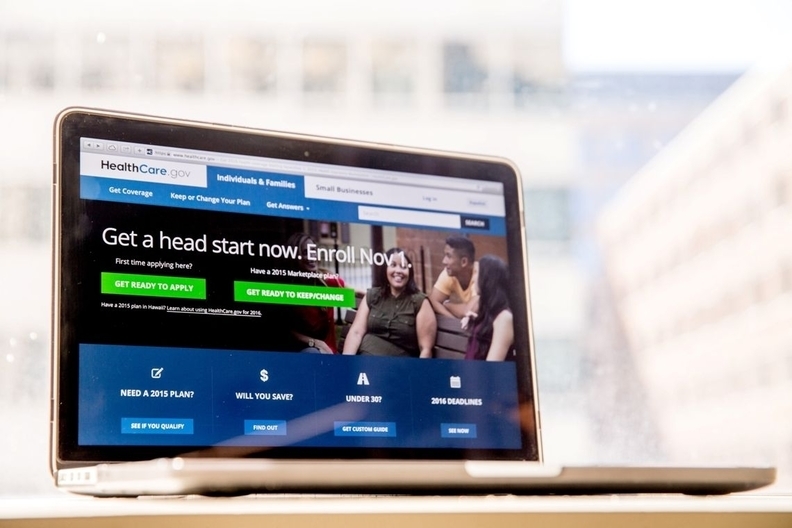 Pending federal approval, the Illinois insurers on the Obamacare exchange in 2018 will be Chicago-based Blue Cross, Bloomfield, Conn.-based Cigna, Health Alliance of Urbana and Celtic, which is run by St. Louis-based Centene. Insurers are proposing double-digit rate hikes. On average, the rate increase proposed for small-business plans in Illinois is nearly 47%, and for consumers, 43%. "How Team Rauner hustled to protect Obamacare from Trump" originally appeared in Crain's Chicago Business.